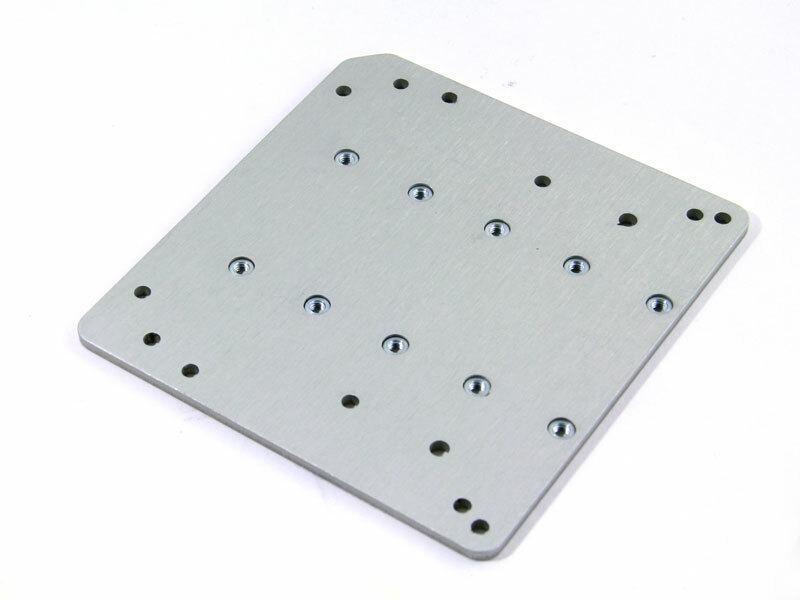 Multi1 plate replaces three old device plates and several new ones, and is compatible with those the old ones. Multiple plates, rolled into one: DP-AMDI, DP-Mobi/Tellus, DP-Rolltalk, DP-Tobii Eye Mobile, DP-VESA2. 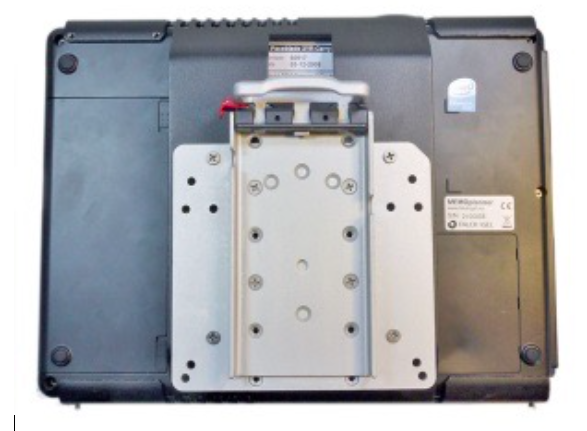 Device Plate DP-T4 is used to connect to the Tobii Dynavox i110. Device Plate DP-T4 attaches to Tobii Dynavox I110. An easy way to make a Mount'n Mover Quick Release Plate attach to a Rehadapt/Connect-it Table or Floor Stand--in just one step! You have now made your Rehadapt Floor or Table Stand compatible with the Mount'n Mover Quick Release Plate! Range of locations on QRP itself: 2", 3", 4", 5"
Range with the addition of the DP-QCR-E: 7.5", 8.5", 9.5", 10.5"
Extension Plate is used to place the QCR higher up on the device it is attaching to. This is especially helpful for eye gaze devices, to be sure the device clears the hoop in an upright position. The QCR attaches to the top of the Extension plate; and the Quick Release Plate attaches to thereaded inserts on the lower section of the Extension Plate. 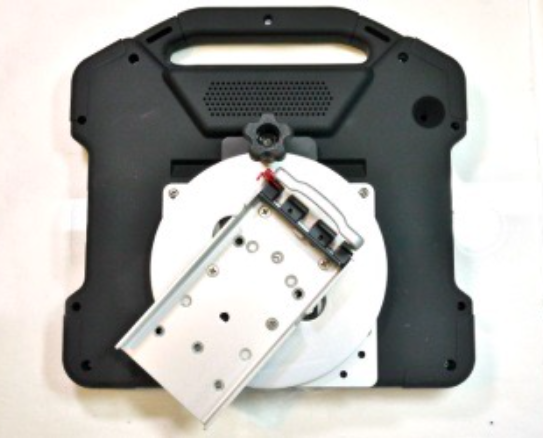 The Quick Connect Plate can be added to a Mount'n Mover Tray to make it compatible with the Quick Connect Receiver and other standard quick release connectors. This facilitates using a tray with the Easy Mover, Simple Quick Connect mount, and Rehadapt floor and table stands. The notch on the plate corresponds to the spring-loaded release lever of the QC Receiver and to the spring pull plunger on other standard quick release connectors. The DP-QCR cannot be used "alone" with Tobii Dynavox i-12 and i-15 devices. It must be used in combination with the DP-T2 (contact us!). 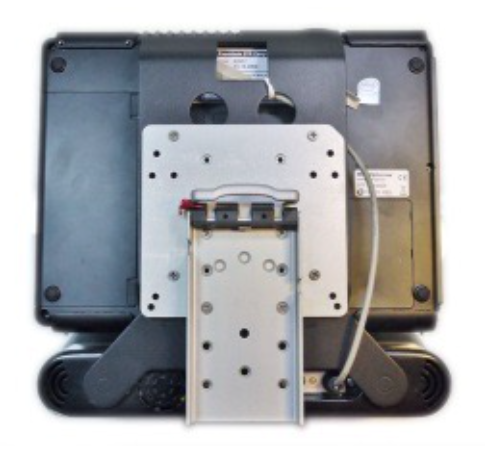 The QCR (DP-QCR) can be attached to a Mount'n Mover Quick Release Plate for use with the Original Mount'n Mover, to make it compatible with various speech devices. 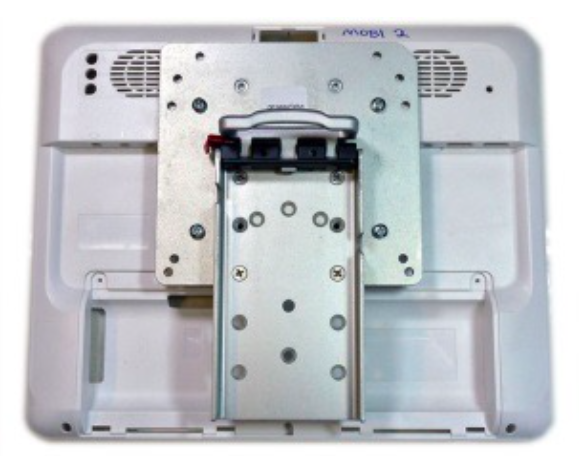 Attach Quick Connect Plate (DP-QCP) to Mount'n Mover trays to make them compatible with the QCR . Includes an Otterbox Defender case and the Defender Series Holster. The Otterbox is attached to a QRP (QRP is not included). If QRP is needed order DP-PHONE-OB-Q -price: $259.00. Please provide the make and model of phone. Not all compatible phone types are listed. We can attach to most phones...call us! The Tilt Plate with clamps allows attachment of a device with a Mount'n Mover Quick Release Plate to floor stands and table hardware with round tubing. Has QRP attachment inserts for up to 6" (150mm) offset from top attachment. For device(s): Dynavox Maestro, T10*, Vmax, M3, DV4, MT4. For: ATS / EzCOMM Devices NEW!! NEW!! An additional degree of freedom! Infinite angle locking is great for eye-gaze systems and iPads! Compatible with all Mount'n Mover device(s). The Universal Rotator adds a degree of freedom! 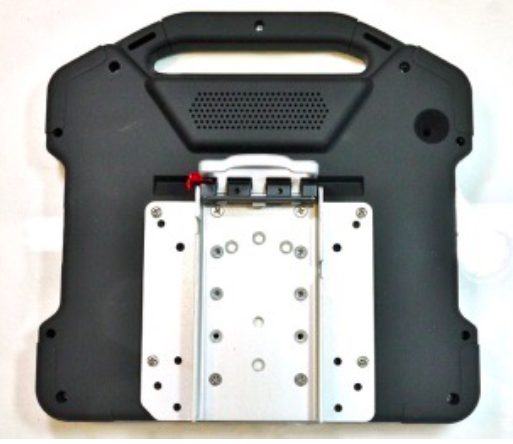 Adjust the angle between the Mount'n Mover Quick Release Plate and the device plate (attached to a device or tray). Turning the knob adjusts friction between the rotating plates, letting you lock the rotation at any angle. Rotation angle adjustment is great for eye-gaze systems, or iPads and tablets that can move from landscape to portrait. Use with any Quick Release Plate (QRP). Add a Universal Rotator (DP-UR) for optimal positioning throughout the day. Can be used in combination with a Quick Connect Plate (QCP) and a Quick Connect Receiver (QCR) if needed. Note:1 QRP included with each Mount'n Mover (Locking Model). Downward Tilt for mounted devices. Attach between device plate (or tray) and QRP. The Stand + 90° is compatible with all Mount'n Mover device attachment accessories, and can be used in combination with the Universal Rotator. 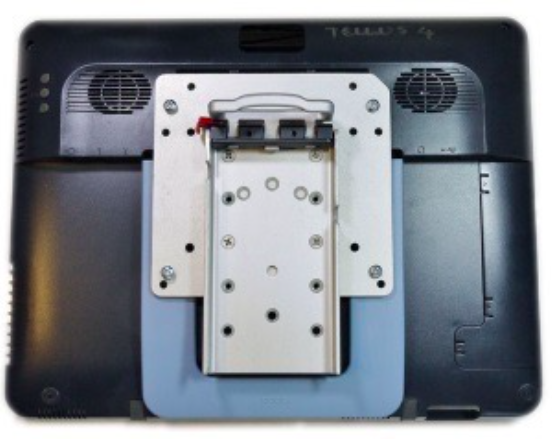 The Stand + 90° can be used as a "stand-alone" product, without a Quick Release Plate, but you will need one to attach your device to a Mount'n Mover arm.